ATTENTION: ALL CORPORATE PRACTITIONERS and LEARNING PROFESSIONALS! For our final meeting before our summer break, you have a unique opportunity to hear from a Corporate Peer: Learning Strategist, Brando Carson, Home Depot's Director of Learning. Don't miss this special event at which Brandon will discuss meeting the challenges of the emerging technological changes affecting learning in the workplace. The rapid pace of technological change has altered how business is conducted. In light of this, the modern learning organization must transform not only how it designs and delivers learning, but also how it evaluates and measures its success in supporting the workplace. 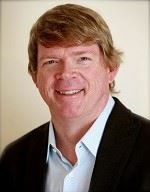 Brandon Carson is author of “Learning in the Age of Immediacy: 5 Factors for How We Connect, Communicate, and Get Work Done,” which was recently published by the ATD Press. With 20 years of experience in learning and development, Brandon is a learning leader and strategic driver focused on organizational and team success. As a learning strategist, he helps drive leadership initiatives, strategic planning, employee development, program implementation, change management and collaborative partnerships designed to improve performance. Brandon has been honored with several learning industry awards, including the ATD BEST Award, the eLearning Guild People's Choice Award, and three Brandon Hall awards for Best Custom Learning Design. He serves on the board of the North American Simulation and Gaming Association (NASAGA) and writes frequently about learning-related topics. Brandon holds an M.Ed. in eLearning Technology and Design and a B.A. in Business Communications, both from Jones International University, as well as advanced ISPI certification in Analysis. Don’t miss this opportunity to see what's next in the world of learning. Register early!